Flowers worn in the hair is so lovely and perfectly feminine. When I was little, I'd daydream of getting to wear a crown of flowers in my hair for a special occasion. Now that I'm older, I don't think I could pull off the flower crown, but by golly I've got two little girls who can! I thought it would be sweet to make them some flower crowns to wear with their Easter dresses. I wasn't going for fussy or grand here, just sweet, simple and pretty. I think we accomplished that and the look on the girls' faces when I presented them with their crowns?! Gasps and excitement aplenty. -flowers *Use any variety you prefer, Lily's crown is made up of small daisy like white flowers. These can be found at any flower shop, even at grocery stores. Take string and measure it around the head of the person you are making the crown for (measure the string the way it is intended to be worn). Tie a knot. Clip flowers and place around the string. This will give you an idea of how many flowers you'll need, what directions look best. Take floral tape and wrap (with good tension) bundles of flowers around the string until you've made up your flower crown. See above. Try your best to wrap the tape so it's concealed behind flowers. Store flower crown in fridge before use. Thanks for letting me share this today and for popping in! I hope you all have a wonderful weekend ahead of you. I am looking forward to spending time with family and celebrating the resurrection of our Savior, Jesus Christ. Great idea Bri! So cute! Cute! Addie would just die if I made her one of those. I'm not going to get around to it for Easter, but I'm definitely going to store it away for another day! Sarah- You could definitely make these for your girls any day of the week! 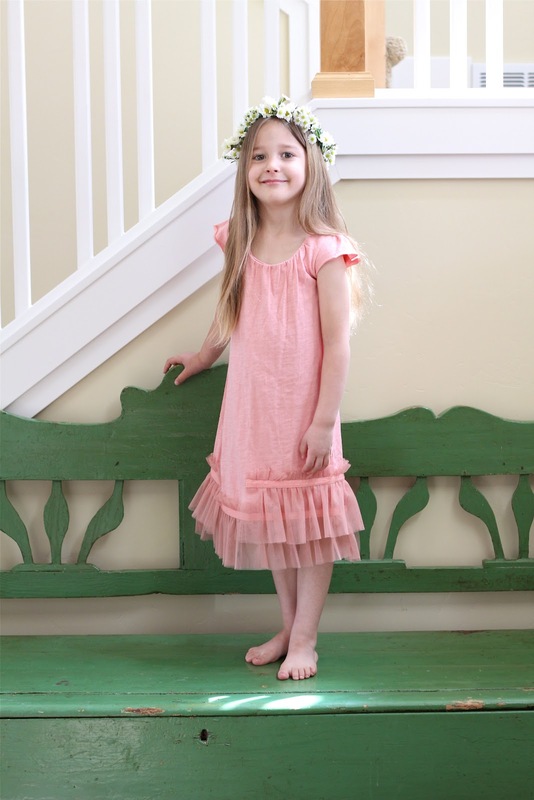 What a fabulous idea - what little girl wouldn't want a flower crown? They turned out super cute. Haley- Thank you! I really appreciate it. Miss you.